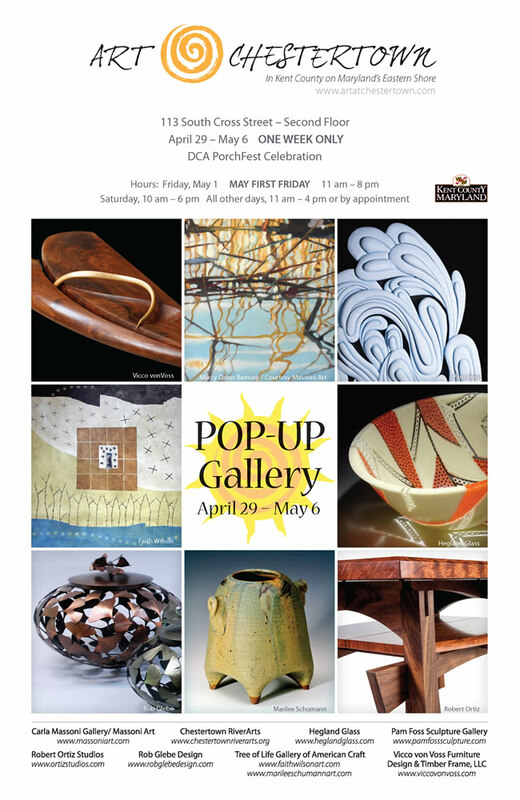 We celebrated the first week of May in good company when six nationally recognized artists decided to host a pop-up gallery just a few blocks from where our story with flowers began in downtown Chestertown. It was a small dream come true to show our simple piece alongside these highlighted artists featured in American Craft magazine. Special thanks to Marilee Schumann for taking the opportunity to welcome us home. Lydia created a few ikebana inspired designs in gorgeously crafted pots by Marilee Schumann that were on display for the length of the show. The one week pop-up received an overwhelming response during Chestertown's First Friday festivities and we are grateful for the time we spent there as well. Looking forward to all that our new emergence into Chestertown will bring.